The event takes place on the 25th of January starting at 21:00. 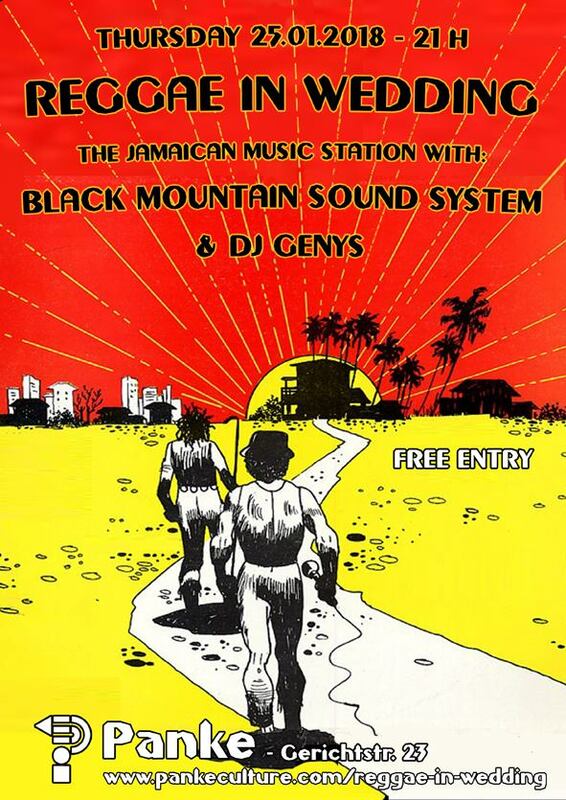 Every last Thursday of the month at Panke, the Jamaican music station with Black Mountain Sound System in combination with Genys. High rotation on the turntables with the best tunes from the island. A Jamaican Music evolution in a 5 hours long selection! The event is moving to the Panke Stage to give more space and more sound for the massive.